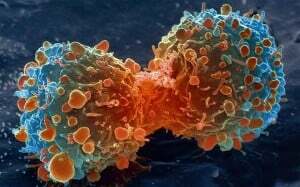 You are at:Home»News In Focus»Genetics»Does a cancer cell’s shape hint at its danger? Doctors can sometimes use a cancer cell’s genetics to predict how it will act – how dangerous it is and thus what treatments should be used against it. Now a paper published in the journal Integrative Biology shows that a cancer cell’s shape may offer similar clues. Eventually, the researchers from Colorado State University hope that their measurements of cell shape could be combined with genomic data to offer a more precise prognosis and guide strategies for treating a patient’s disease. “This is the tip of the iceberg – the beginning of an investigation taking shape – which comes from a well-known fact that the process of carcinogenesis leads to mis-regulation of the cytoskeleton. “In other words, the formation of cancer changes the shape of cells,” says Ashok Prasad, PhD, assistant professor in the CSU Department of Chemical & Biological Engineering. He points out that when a pathologist examines a tumour sample, he or she may see physical abnormalities in a cell’s growth or nucleus or chromosomes. However, “Our hypothesis is that there are subtler changes in shape at a statistical level, early in the process of carcinogenesis, that a computer could pick up,” Prasad says. To determine what these changes may be, Prasad and colleagues including first author Elaheh Alizadeh, PhD candidate in the Prasad lab, first had to quantify cell shape. Rather than trying to categorise cells as “a little oblong” or “somewhat spherical”, the group used what are called Zernike moments to precisely capture cell dimensions. Basically, a Zernike moment, named after physicist Frits Zernike who won the 1953 Nobel Prize in Physics, is a way of representing shapes as data. This requires choosing a finite number of measurements (the researchers chose 256), which then became a sort of numerical cell-shape signature. The researchers also found a way to represent differences in Zernike moments between cell lines as vectors. The question was whether a vector describing differences in Zernike moments could help identify which cell line was likely to be the most invasive. “Machine learning is a tool that you have to give some examples – you have to say ‘these are oranges and these are apples’ and then a neural network can learn what distinguishes one from the other. Then you give the system an apple and see if it can correctly tell you which one it is,” Alizadeh says. In this case, the “apples” and “oranges” were more and less invasive osteosarcoma cell lines. “The four cell lines we used, the model can predict them with good accuracy,” Alizadeh says. With an undergraduate degree in physics and a Masters in plasma engineering (both earned while studying in Tehran, Iran), and now PhD work in chemical engineering that includes machine learning, Alizadeh’s background allows a unique perspective on this line of research that draws on all three, combining the physics of Zernike moments with the challenge of data mining with the realities of gathering data from human cell lines. After proving the promise of their model, the question was what would happen when the team’s machine learning confronted a hypothetical fifth cell line, as would be the case if asked to evaluate a new patient sample. “What we found is that if we first allowed our neural network to evaluate new cells – to recalibrate its categorisation based on the characteristics of these new cells – it does predict the classes pretty well,” Alizadeh says. However, Prasad and Alizadeh point out that significant questions remain. For example, how a cell is prepared for imaging can affect its shape – “What you put these cells on when you look at them may affect what you see,” Prasad says. Likewise, there are myriad ways to quantify cell shape, of which Zernike moment is only one possibility. Future research will explore additional ways to capture the data of a cell’s dimensions.